Brown Athletic Division | If you want to be good, get B.A.D. Brown Athletic Division works with boys and girls of all ages. Welcome to Brown Athletic Division. It’s a BAD, BAD world out there. Here at B.A.D., we are helping to make it a better place one youth, one life at a time. Brown Athletic Division is not just a typical basketball training organization, but we are so much more. We are a community organization that looks to grow and strengthen the community by empowering our youth. At B.A.D. we believe in developing skills that go much further than just the world of sports. We offer a variety of programs from group and personal training, to after school programs, tutoring and more. BAD is an active and positive force throughout the communities in which it serves. Our goal at B.A.D. is to not only train the body, but also the mind and the spirit. We are 100% dedicated to helping youth become greater students, leaders and athletes. We pride ourselves in helping each youth reach that next level, whether it’s making their school team, or cracking that starting line-up, or even making it to college on a scholarship. Brown Athletic Division focuses on helping youth achieve their goals while helping them to dream bigger. Dream it, see it, believe it, and then achieve it. BAD Summer Camp Series will start in June. Check back for more details. 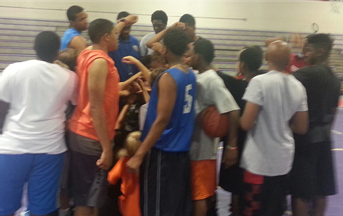 Brown Athletic Division offers basketball development skill classes in either a personal or group setting. 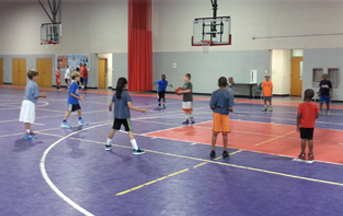 These sessions typically consist of 1-hour increments in which the student-athlete learns both basic and advanced basketball techniques. At B.A.D. 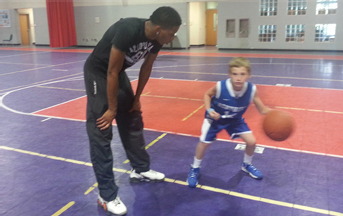 we will see to it that your youth are taught the fundamental skills of basketball. Our camps promote a fun, positive and fitness filled environment, in which your child can develop a greater sense of self confidence and team-work. Help Sponsor a Child- your gift will help allow a needing child to be involved in our programs. New this year is the B.A.D. Scholarship Fund. This fund will be used to help those youth who need it the most be a part of the B.A.D. family this year.